Kevin Shackleford, owner of Shackleford Landscape Group in Bear, Del., has replaced most face-to-face meetings with tools like iPhone’s FaceTime or Skype. Surprisingly, there’s been very little—if any—pushback from clients, he says. Shackleford says everyone is busy these days, and in-person meetings are burdensome. 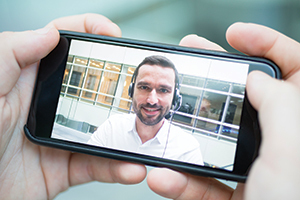 He adds that his commercial clients prefer the “privacy” of having him Skype in for a short meeting, but not having to excuse him from the room to discuss their options. He has also switched to electronic signatures with Adobe Sign, so proposals no longer need to be signed in person.